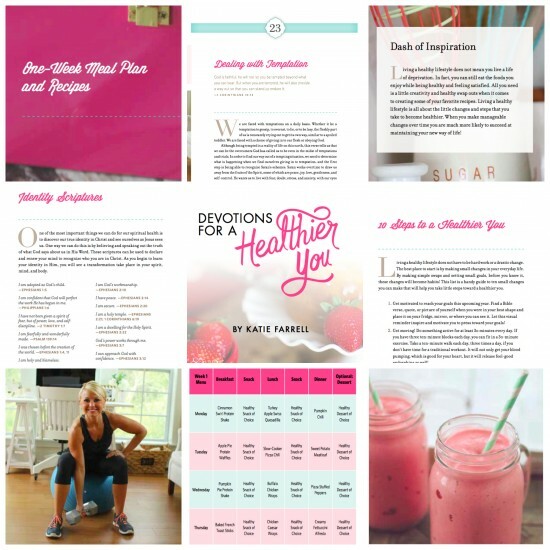 Dashing Dish Cookbook & Devotional are Available for Pre-Order! I am SO excited to share this big (and long awaited) news with you guys! 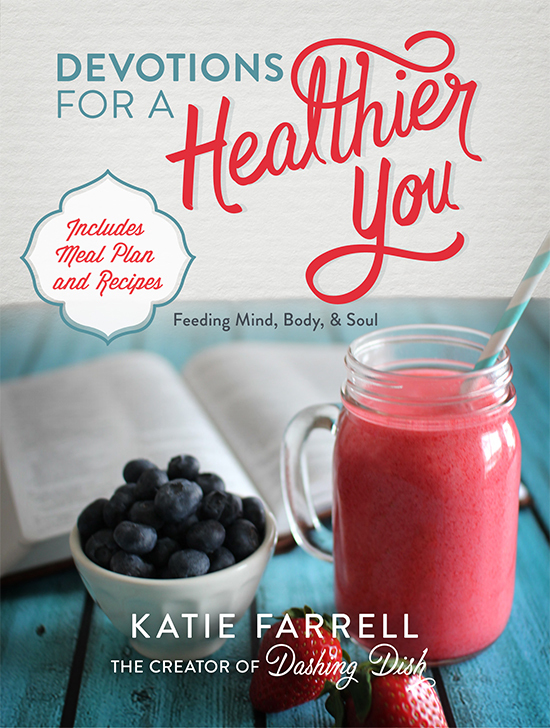 It is official... both my cookbook and devotional are available now for pre-order!!! If you order them now they will be shipped on December 30th, which means they will also make great gifts, and will be here just in time for the holidays! 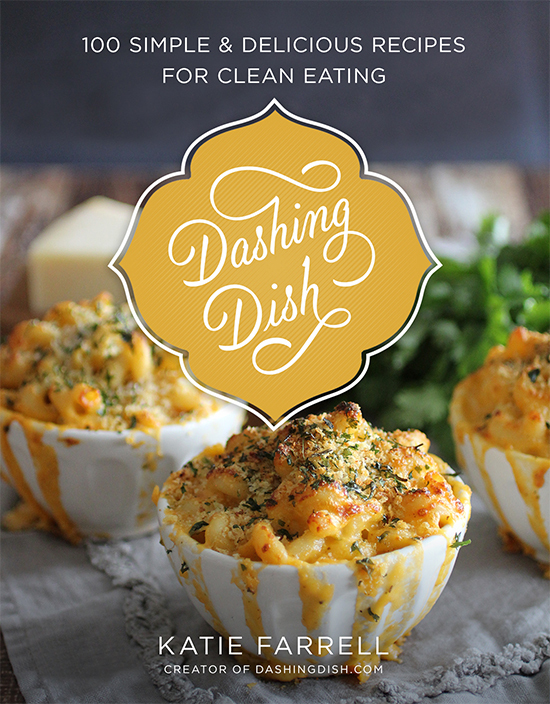 Dashing Dish Cookbook: 100 Simple & Delicious Recipes for Clean Eating. The cookbook is filled with 100 recipes for your favorite foods made healthy that are incredibly easy to make. I focused on a simple and clean eating approach, which is what you would find on the Dashing Dish website. To show my appreciation to all of you who’ve supported Dashing Dish over the years, I wanted to give you a special gift! If you pre-order a copy of my cookbook you will receive my never-before-released, ALL NEW One Month Meal Plan! The meal plan is instantly downloaded to your email when you email proof of purchase (i.e.- the receipt, receipt number, or order confirmation) to cookbook@dashingdish.com. 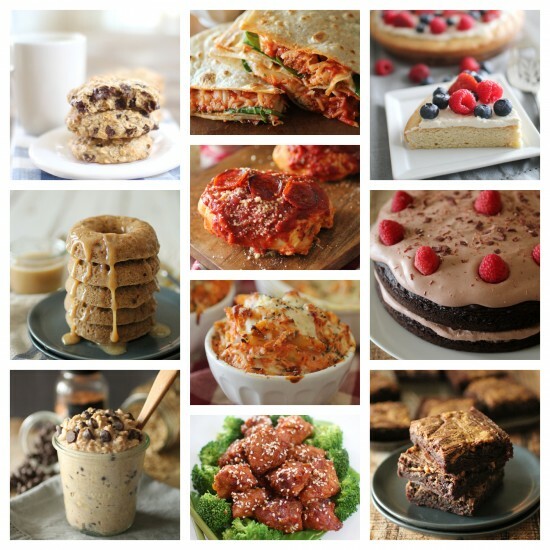 100 Healthy & Wholesome Recipes- PLUS brand NEW recipes! Staying true to Dashing Dish, every recipe is made with healthy, wholesome ingredients without losing any of the flavor! Included is a pantry staple list with basic ingredients. Let’s face it, who has time to go grocery shopping every single time you want to make a recipe? I know I don’t, which is why all of my recipes can be made with a few basic staples. Plus, tons of brand new recipes and content that has never been featured on Dashing Dish before! Nutrition Information. At the end of every recipe will list the calorie, carbohydrate, sugar, fat, and protein contents for each serving. Colored Photos. Every recipe has a colored photo. This was especially important to me, because I can’t stand when a recipe doesn’t have a picture to go with it! I mean, what’s the fun in that!?! Simple & Kid Friendly. All of the recipes are uncomplicated, simple, and made with a few basic ingredients, just like the recipes you know and love from Dashing Dish website. They are just about all ‘picky eater’ friendly, and can be made by both experienced and novice chefs alike! Tips & Tricks. Along with this cookbook I have included healthy baking and cooking techniques, shortcuts, tips, and tricks. There is no greater passion for me than to teach others how fun and simple it can be to live a healthy lifestyle. I hope to share some of the most helpful things I have learned over the years with all of you! Here is a sneak peak at what's inside the cookbook! Dashing Dish Devotional: Devotions for a Healthier You. I am beyond excited to share this book with all of you! It is truly my greatest heart’s desire to help others find encouragement, balance, and fulfillment through God’s Word and healthy living. I have poured my heart into this devotional book hoping that it will bring life-giving nourishment through the Word of God as well as practical tools to anyone that picks it up. Devotions. This devotional book is filled with devotions that have been inspired by my personal journal entries, which will range in topics from body image to understanding and receiving God’s great love for us. These devotions will be simple and straight to the heart of the issue, focusing on one or two verses each, which will allow you to walk away with a ‘bite size’ morsel of the Word to chew on throughout the day. Dashing Tips. In addition to building you up spiritually, I also hope this book will bring practical knowledge on how to live a physically fit and healthy lifestyle, which is where the Dashing Tips come in! They are packed with tools to help you live a balanced life, as well as practical strategies to help you overcome discouragement and pitfalls when you are finding it hard to balance it all. Dashes of Inspiration. Real life inspiration that is meant to encourage, uplift, and inspire you! Meal Planning. Last but not least, as a bonus, there is a full 1 week meal plan including breakfast, lunch, and dinner recipes with full shopping list. The devotional also includes bonus recipes as well as meal planning strategies and tips. These tips will teach even the busiest home cook to plan, prepare, and get organized in the kitchen! Both the cookbook and devotional book are available for pre-order now and will be released December 30th. Both books will be also be available at bookstores nationwide on December 30th, 2014. Here is a sneak peek of what’s inside the devotional book!